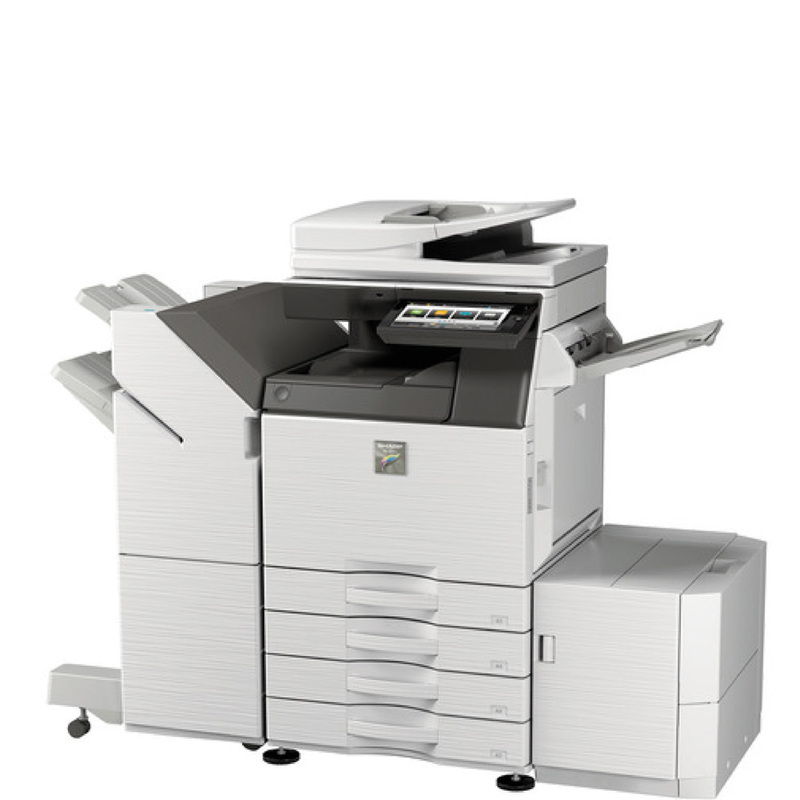 Toshiba e-STUDIO 388CS Photocopier - Photocopiers for sale and to lease from UK Photocopiers Direct : Sharp UTAX Toshiba ALL Models. Contact us now for best prices and service. The e-STUDIO388CS is an asset to any business or workgroup that requires productivity, reliability and ease of use. 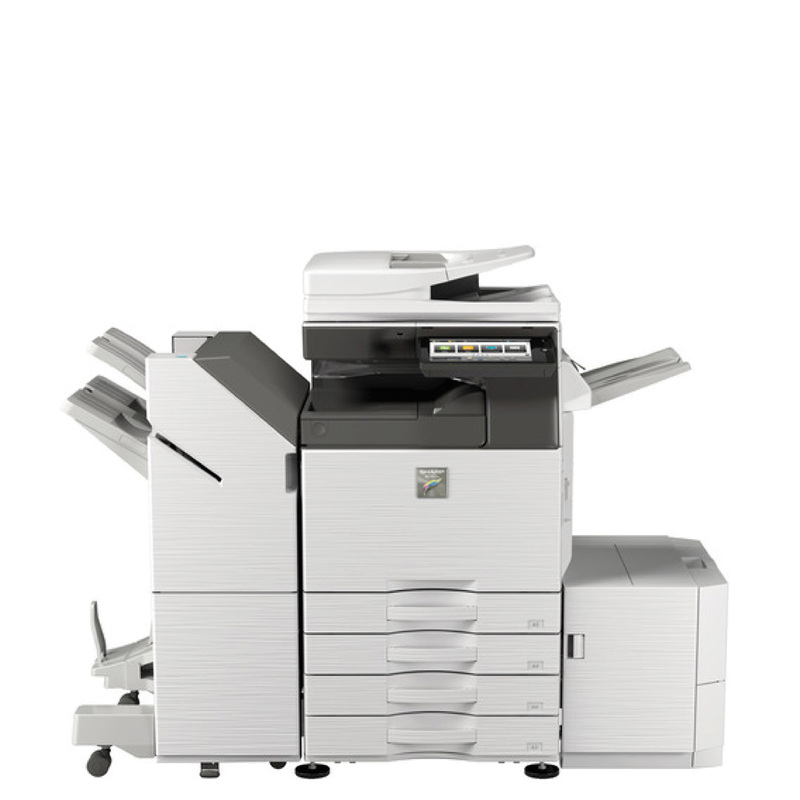 These compact A4 multifunctional devices offer remarkable image quality print after print. Challenging print jobs can be fulfilled, thanks to a clever range of options and solutions. A maximum paper capacity of 1,450 sheets ensures large print jobs run with ease. The optional Dual Scan Document Feeder (DSDF) allows businesses to digitise documents for easy storage and retrieval from the cloud, with its speedy processing time of up to 94 images per minute. The tiltable, colour touch screen and keypad offer a straight-forward way to access all the device‘s functions and features. In addition, the privacy of your data is extremely important, so an optional card reader is available to add an extra layer of security – giving you full control over who has access to sensitive business data.